Investing in Real Estate? Keep This Useful Information Handy. Investing in real estate involves the purchase, ownership, management, rental and/or sale of real estate for profit. Investing in real estate has grown in popularity and could potentially be very rewarding. 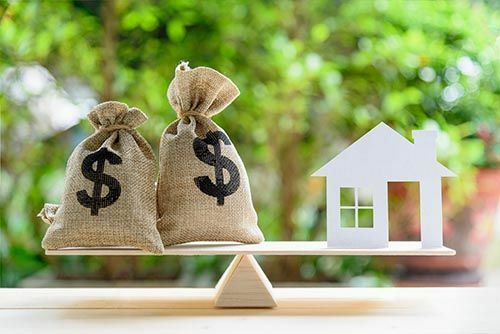 However, it is important to do your research and understand all the responsibilities and potential liabilities that come along with an investment property. Real estate investing could potentially be beneficial for your future. As with any investment, there are ways to protect yourself and your profits. There are various options to consider in order to protect your real estate investments. It is crucial to select the right business entity in order to protect your real estate investment. Consider setting up a business entity that will protect your real estate investment and your personal assets from any litigation. Establishing an LLC could limit personal vulnerability to any potential lawsuits that might arise relating to the property. Only the assets owned by the LLC, as opposed to personal assets, would be exposed to potential lawsuits. An LLC also allows business owners to transfer ownership in real estate holdings by gifting interest to their heirs each year which could potentially allow them to effectively pass ownership to loved ones without ever having to formally execute and record a new deed. This will also help avoid transfer and recording taxes and fees. An LLC has numerous other benefits including taxes and fees as well as the transfer of ownership Read more about the benefits of establishing a business entity here. An LLC is not the only option to protect your real estate investments and limit your risks. As always, an experienced business law attorney can help you explore your options and minimize your risks with the right strategy. Estate Planning is Essential when looking to protect your investment. If you are investing in real estate it is essential for you to think ahead and safeguard your properties for the future and any heirs that will benefit from your investments. A living trust is a document that appoints a trustee to handle your affairs when you (and your spouse) are gone. Holding real property in a trust can be crucial in protecting your investments for the future. Proper estate planning can protect all your assets including the assets of your real estate investment company’s business entity. Because these are just some of the legal options to keep in mind in order to protect your real estate investment, it is important to speak with a reputable attorney who can help you set up the right business entity and estate planning to protect your investments.